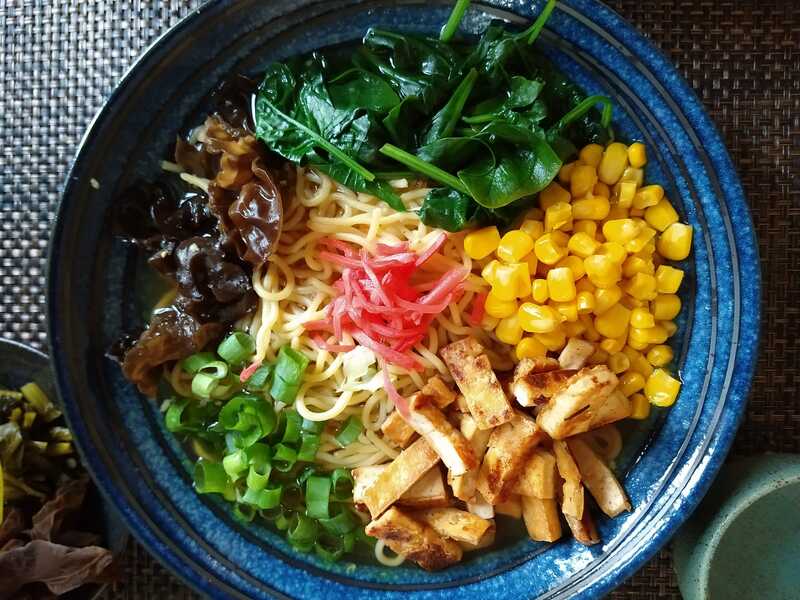 This is a Japanese ramen recipe that is delicious and suitable for everyone, also vegans. It is easy to make and you can create a different dish every time if you change the toppings. This recipe will give you the ramen stock, and some toppings I really like. In case you make the stock with mushrooms, add 1 hour to your cooking time. However, it's also delicious without the mushrooms! 1. cut the tempe/tofu and put it in a bowl with a bit of soy sauce and garlic. 2. cut the garlic and ginger into small pieces and heat it in sesame or sunflower oil for about five minutes on low heating. 3. now add the stock, soy sauce, mirin and if you use them, the dried shiitake or different type of mushrooms. Let it cook for about 5-10 minutes (the longer the tastier though), but in case you added dried mushrooms, let it boil for one hour before you continue with step 4. 4. prepare the toppings (cut them into smaller pieces if necessary). - heat some oil in a separate pan and bake the tempe/tofu. - boil some water in a separate pot, add the spinach for about two minutes, then drain the spinach with cold water. 5. add the noodles and cook as long as necessary, then turn down the heat, add the miso paste and stirr well (don't boil when the miso paste is in). 6. divide the stock and noodles over two bowls and add the toppings. I only use a little bit of pickled ginger in the middle because it looks very pretty but has a strong flavour. And you can sprinkle with sesame seeds. 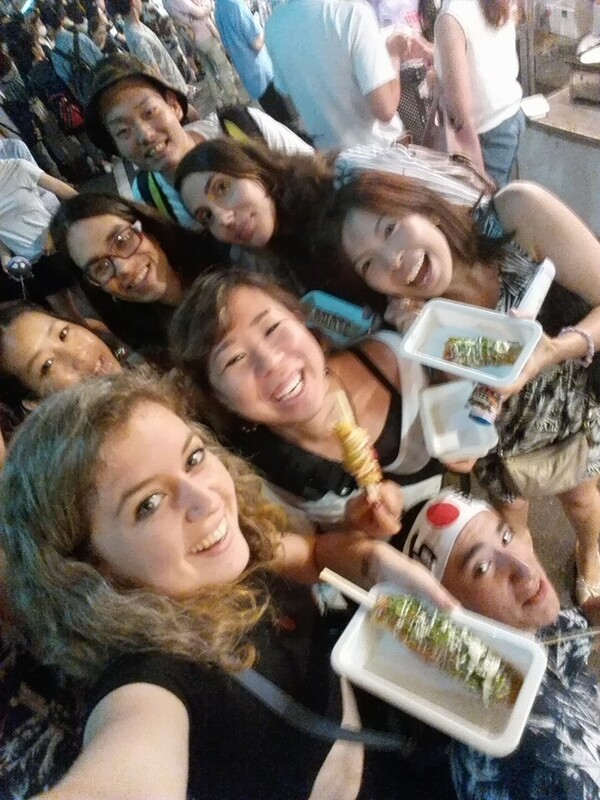 Let's talk about FOOOOOOOOOOOOOOD :D Last week I posted a blog about Ecuadorian Fruits :D which described all kinds of super delicous Frutas, this week I will tell you about Japanese food. Japan is famous for it's elaborate and delicious kitchen. The food is fresh, beautiful, tasty and usually healthy, but if you don't know the names of dishes it's hard to figure out what to get and where to get it. This is a recipe I received from my japanese friend Yusuke. He said it's a great summer dish. I haven't made it yet, but I'm passing it on to you so everyone can try it!